Proper safety storage is key in maintaining a safe work environment. If your company has hazardous materials like gasoline, kerosene, diesel, oil, cleaning supplies, paint, paint thinner, etc. on site, you must store it in the proper engineered storage container to remain in compliance with OSHA. We carry a wide variety of safety storing solutions to keep your company in compliance and protect your most important assets; the employees. 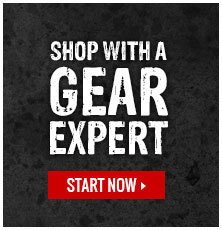 Contact our Gear Experts if you need help locating a specific type of safety storage product.